Awarded the Ivor Hughes Memorial Trophy in 1968 for the most improved rider. 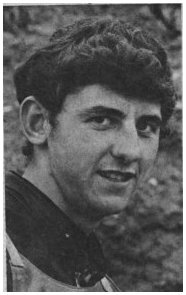 Chris was a local lad with a few friends who were trying their hand at speedway around 1967/69. Mick Handley and George Davenport spring to mind. 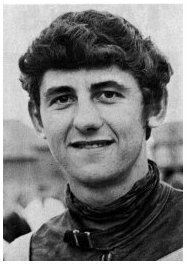 He was an excellent prospect in 1968 and when injuries devastated the Heathens side Chris was drafted into the team on 10th September at Leicester. He made 4 appearances before the season finished but struggled at reserve, having 2 rides from reserve in each of his matches he scored just 1 point against Hackney on 5th October. However he showed great style and Ted Flanaghan was happy to use him again in 1969. His best match in 1969 was at the end of May when he scored 3 points. He went out on loan to Doncaster in BL2 to join his friend George Davenport that season too where he had 9 matches for 57 points for an average of 6.38. He was out injured for a few matches and he lost his confidence a bit and decided to retire at the end of season. Chris Joined the family plant hire business in Cradley Heath after he retired.